We spent last weekend in Southampton celebrating Carmen and Jim’s engagement. It was a weekend of bike riding, barbecuing, champagne drinking and wedding planning. We are so excited for Carmen and Jim, and are looking forward to their upcoming wedding. On the trip back to Washington DC we had two hours to kill in Manhattan. Our first stop was the famous Joe’s Pizza in Greenwich Village. 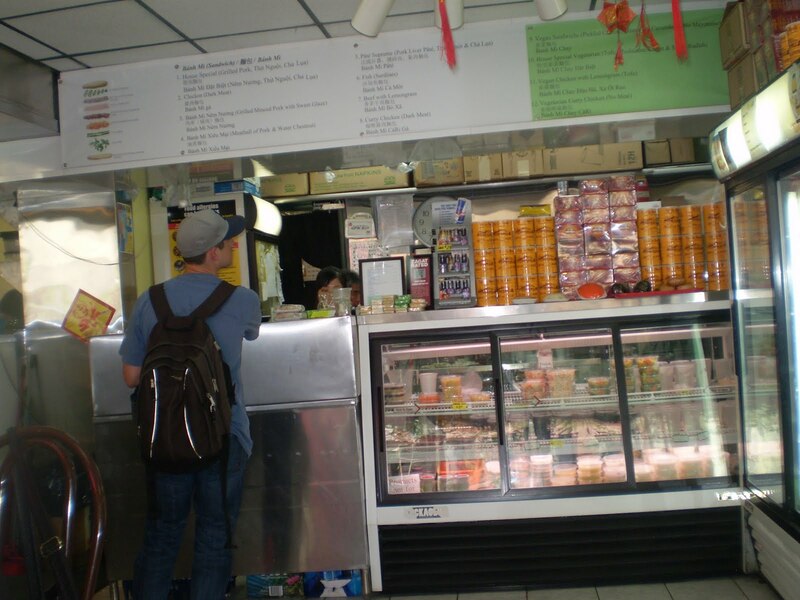 After enjoying what some argue to be Manhattan’s best pizza, Brent suggested visiting New York’s famous Banh Mi joint. 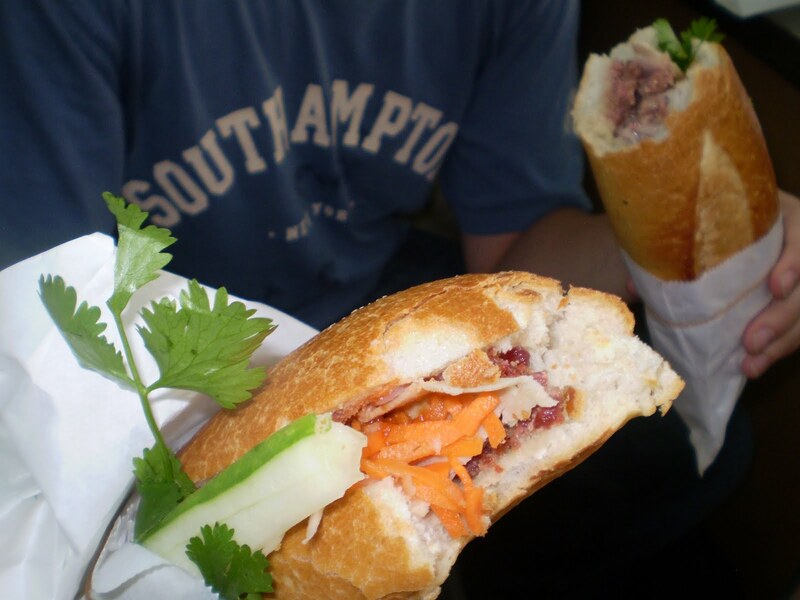 He raved of the Vietnamese sandwich so we took the long walk in the heat, working up an appetite for our second dinner. 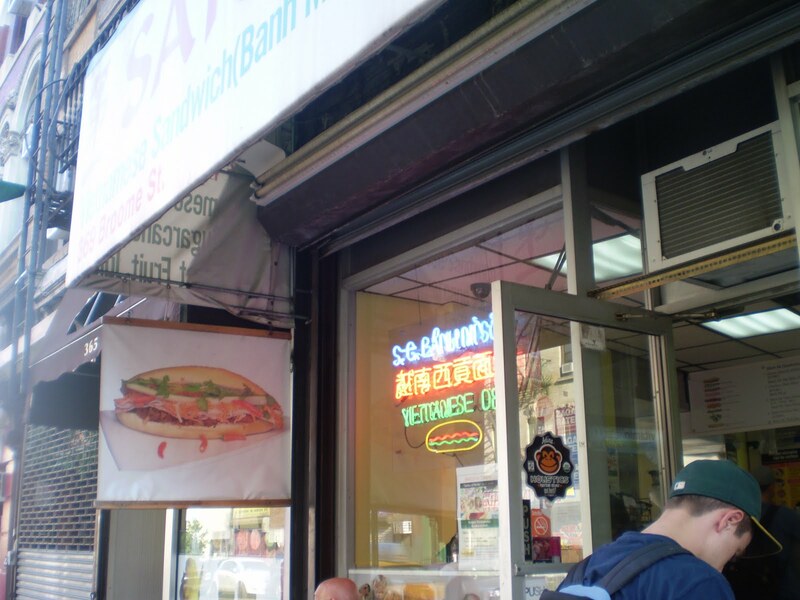 I had never even heard of Banh Mi, and it took just one bite to realize I had been missing out. I was determined to recreate this dish at home, and thanks to Bon Appetit’s recipe, we can now enjoy this dish anytime. Stir all the ingredients in a small bowl. Season with a touch of salt. Cover and chill. Gently mix all ingredients in a large bowl. Roll mixture into 1 inch meatballs. Arrange on a baking sheet, and keep cool. Combine the first 5 ingredients in a bowl. Let sit at room temperature for an hour, tossing occasionally. Heat sesame oil in large skillet over medium-high heat. Add half of meatballs. Sauté until brown and cooked through, turning meatballs often and lowering heat if browning too quickly, about 15 minutes. Cut the baguettes into 4 pieces. Pull out enough bread from each bread half to leave 1/2-inch-thick shell. Spread hot chili mayo over each bread shell. Arrange jalapeños, then cilantro, in bottom halves. Fill each baguette with 3-4 meatballs. 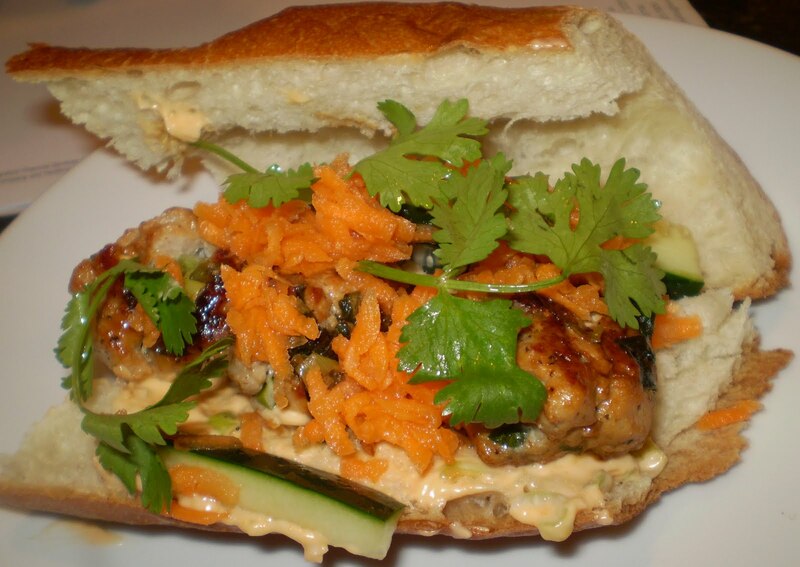 Drain pickled vegetables; place on top of meatballs. Press on baguette tops. how many meatball subs do you think you've had in your life?